Hi Island Lake Parents! 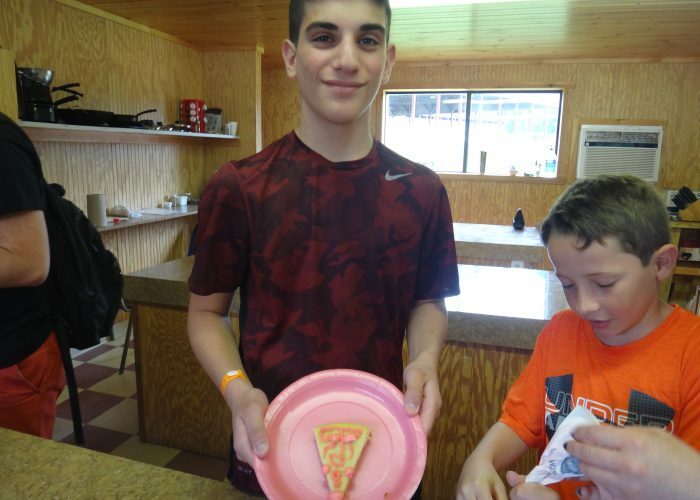 Our campers are well rested after a night of ETB and now we’re all preparing for a fun day at Dorney Park tomorrow. We’re excited for a day of sunshine, rides, rollercoasters, and relaxation in a great big amusement and water park. Tomorrow there will be no blog, nor will we be posting daily summer photos photos, but we’ll make up for it on Friday. I’ll tell you all about Dorney in Friday’s blog and we’ll post lots of pictures from the amusement/water park on CampMinder with our other daily photos. Speaking of pictures, today we will be posting bunk photos. I hope you enjoy seeing your happy child along with his/her bunk of kids. 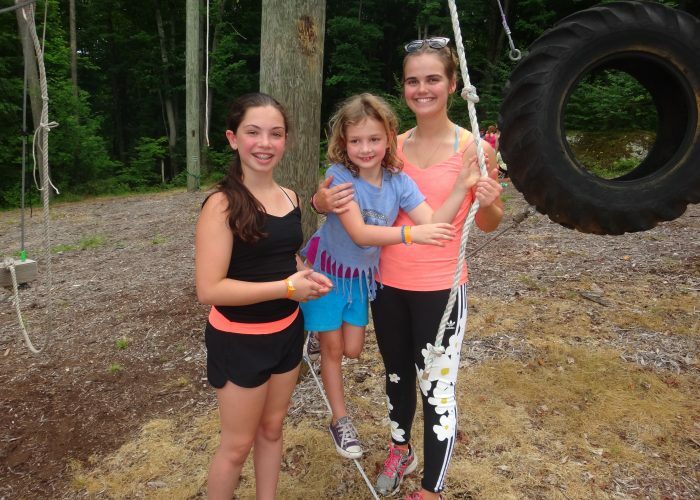 Our campers seem to love their counselors, and this is greatly apparent just by looking at our pics. However please remember, these pictures were taken in a quick moment of time. If it’s not the most flattering photo of your child, do not fret over it. It doesn’t mean that anything is wrong; rather, we just didn’t take a photo of your child at his/her best moment. Today was mostly cloudy and the temperature rose throughout the day from the 60’s to the low 70’s. It was perfect weather for outdoor sports/activities. It’s amazing how quickly the temperature has changed here at camp over the past several days. Our first day, opening day, was sunny and around 80 degrees whereas now it’s cloudy and in the upper 60’s. Tomorrow we’re supposed to have beautiful sunny skies with temps in the mid-80’s in Allentown, PA (home to Dorney Park). Here’s some exciting news in the works: this session we are going to once again host a camp-wide favorite amongst our kids,…ILC Idol! Tonight’s evening activity is the ILC Idol’s preliminary rounds. Each group will have individual auditions to see who will move forward to our camp-wide ILC Idol Finals next week. Oh, I should probably tell you what ILC Idol is, huh? Well, think American Idol goes to Island Lake and, well, there ya go! In the spirit of the beloved classic, American Idol, we are going to do our own rendition of this show for evening activity. That’s it in a nutshell. Stay tuned for updates as ILC Idol gets under way. Today’s special feature is COOKING, SCIENCE, & VIDEO! We’re looking forward to a fantastic time at Dorney Park tomorrow. Until Friday, ILC U THERE! Hi Island Lake families! Although the weather gods were not very nice to us yesterday, this morning, or late this afternoon, the sun broke through on occasion throughout the day. Rain came back to haunt us during snack break (after 3pm) and pounded on us during the latter activities of the day. 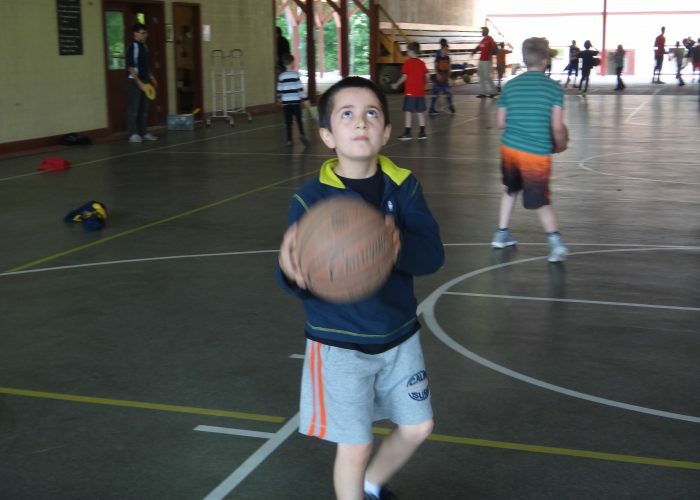 Neither rain nor cloudy skies have affected your children’s experiences here at camp. Today we also started taking bunk photos and I promise we’ll post them on CampMinder as soon as they’re complete, probably tomorrow afternoon. 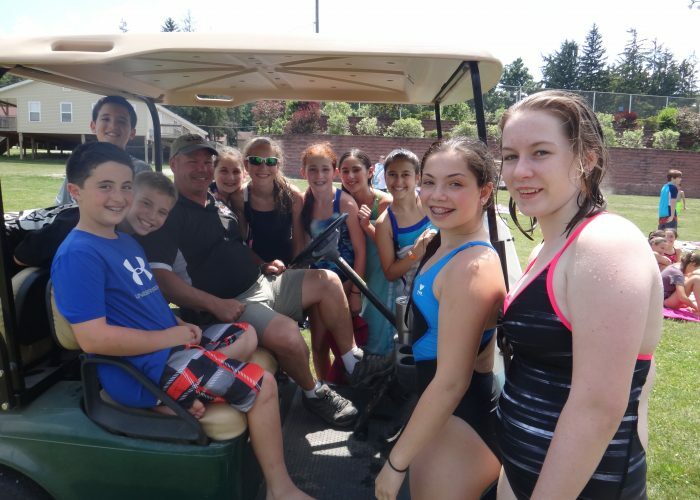 The talk around camp is Thursday’s Lazy Day trip to Dorney Park. Everyone is getting very excited for a fun day in the sun at the park! They’ll have the opportunity to go on rollercoasters, smaller rides (especially for the younger kids), and a super big water park. 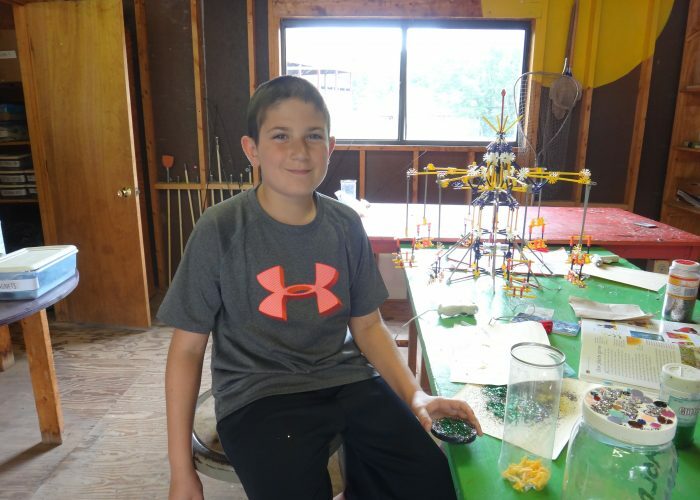 Last year’s trip was a huge success so we’re anticipating the same for this summer. Tonight’s evening activity is the Bunk Cup Opening Ceremonies. 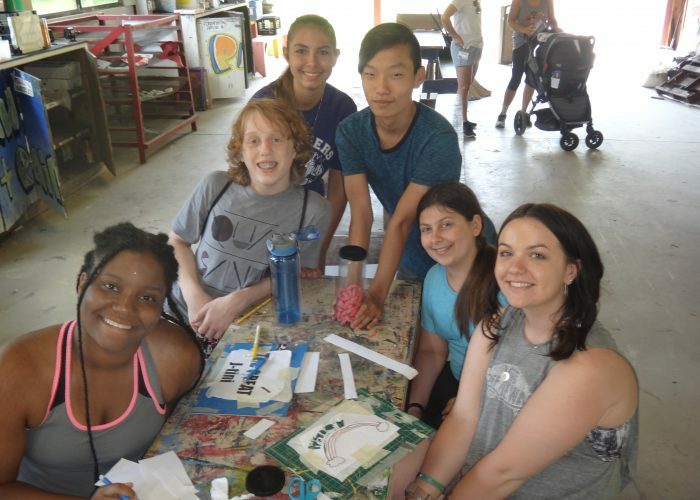 Our campers are getting so into Bunk Cup and I, personally, am very excited to see the videos, flags, and plaques that our campers have created these past couple of nights during evening activity. 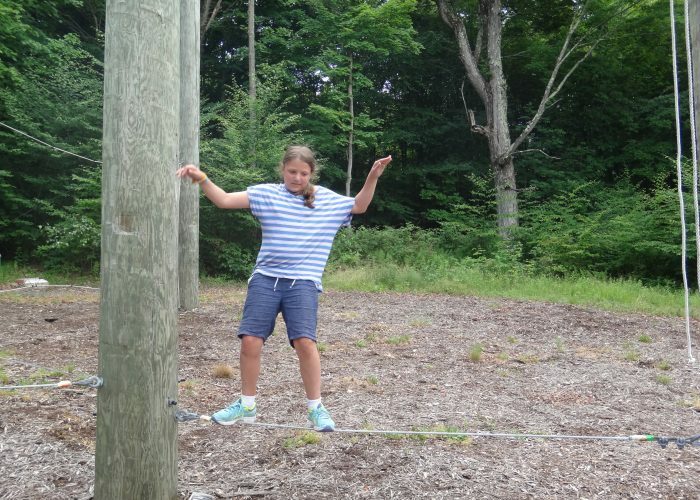 Points have started being given out during activities and bunk challenges are taking place. Today at lunch, girls bunk 1 and girls bunk 2 had a dance off. Girls bunk 1 took the points as the winners. 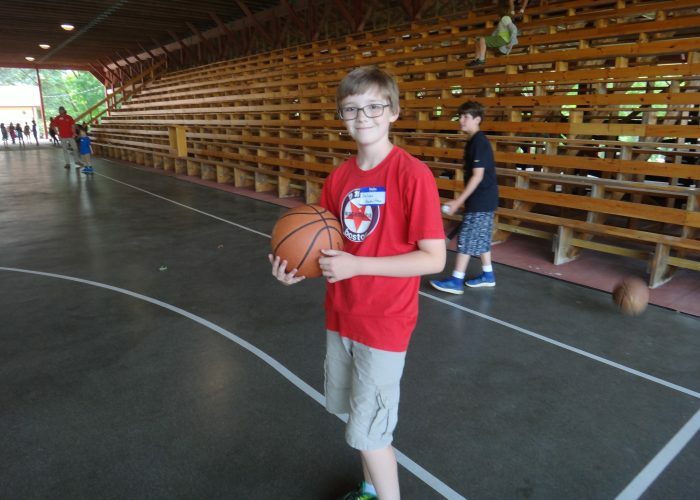 We love all of the camp spirit going into Bunk Cup thus far. This evening, after evening activity, we have our first weekly ETB of the summer. ETB stands for “early to bed”. That means there is no canteen and the kids go straight back to their bunks after evening activity to get a good night’s rest. With so much running around these past few days, they can all use an ETB night (as can I!). 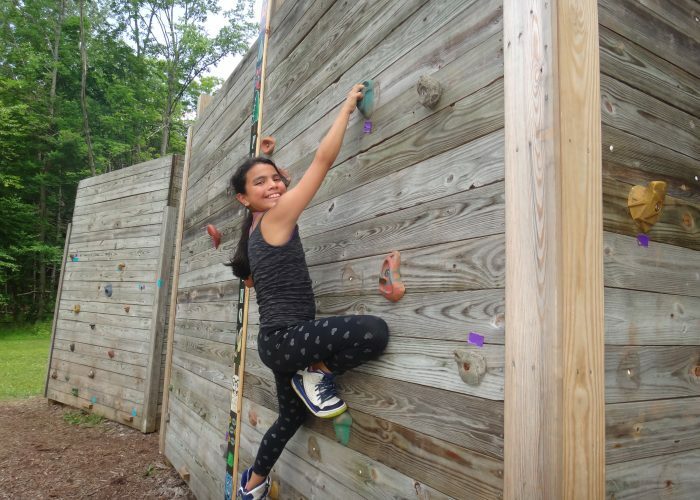 Today’s special feature is the climbing wall, the giant swing, and the ropes course! Below are photos from all of the above. Enjoy and until tomorrow, ILC U THERE! June 27th- 1st Day of Majors & Minors! Happy first day of majors and minors! The day started off sunny but by lunchtime the inevitable rain came rolling in. I guess it was only due time before we were going to get wet. The rain didn’t stick around for all that long but the skies stayed pretty grey the rest of the day. 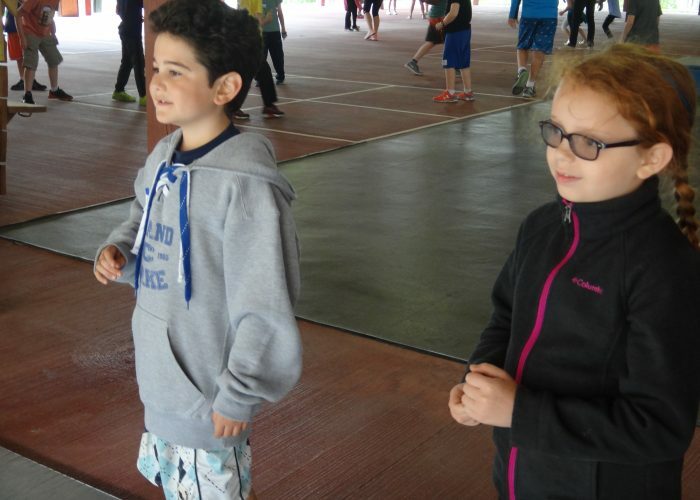 It’s all good though,…the kids’ spirits are still high and activities continue on regardless of the weather. Show rehearsals have started, rock bands have been formed, and dances are being choreographed. 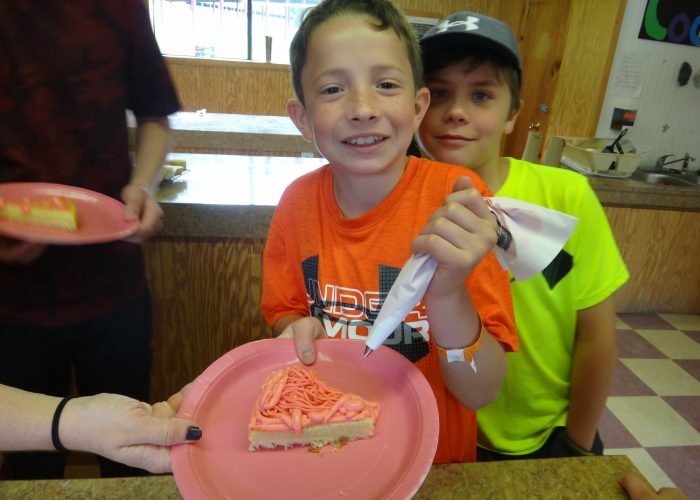 Kids are walking around doing magic tricks, making all sorts of arts & crafts projects, and some campers are becoming little chefs in cooking. 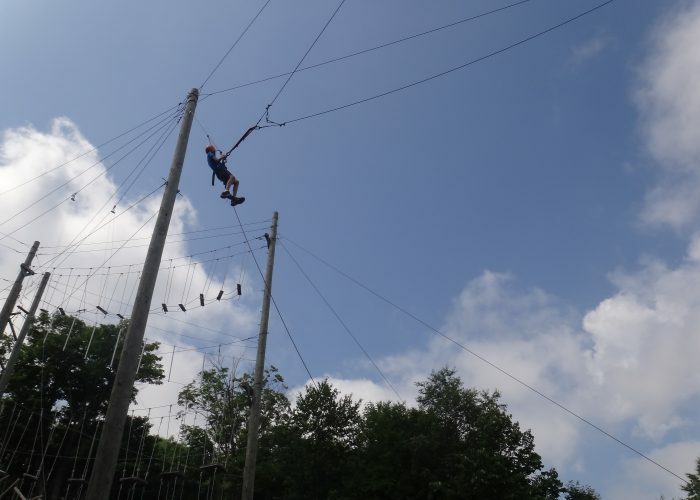 They’re flying in the air on the giant swing, as well as on the circus trapezes. 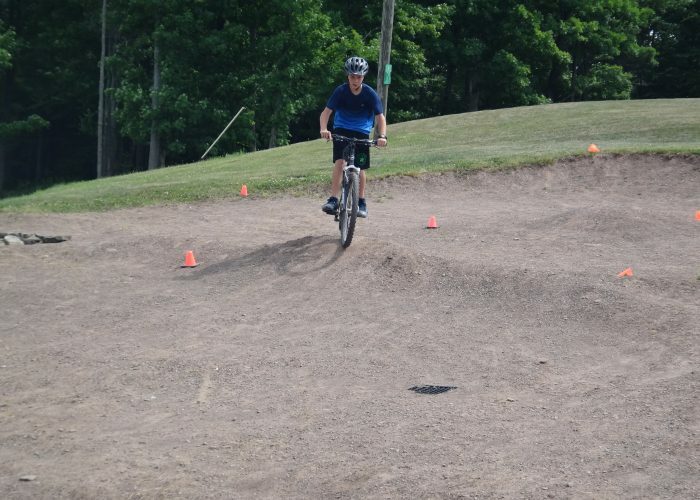 Kids are learning to use the half pipes in our skatepark from beginners to advanced and science experiments are being created by children of all ages. 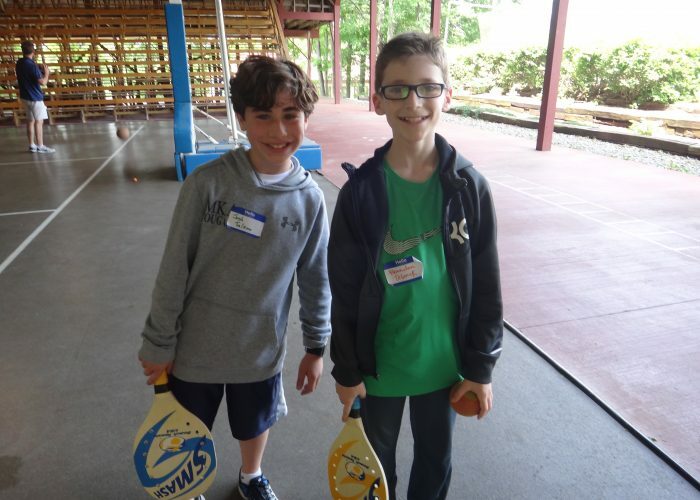 Sports and tennis went on per usual this morning and they just took place in the gym this afternoon until the rain stopped. We’re so pumped for all the action going on here at Island Lake, rain or shine! Tonight’s evening activities are GROUPS once again. 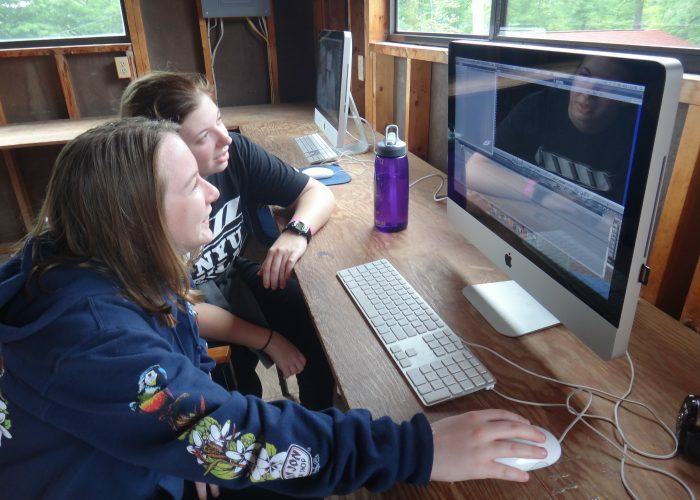 Our campers will continue to work on their Bunk Cup flags, videos, and plaques. 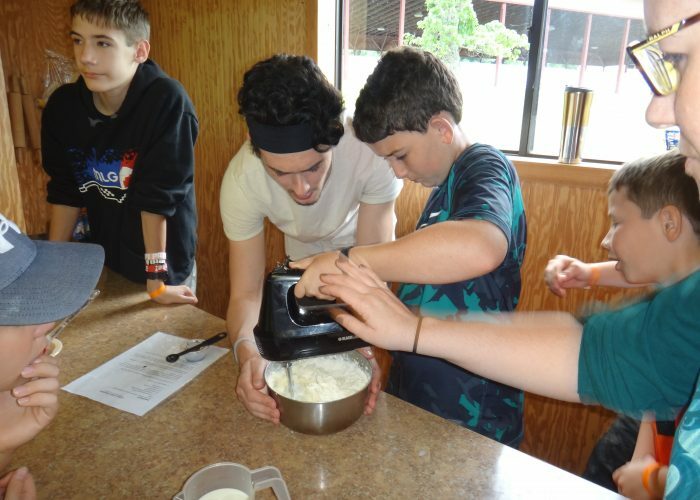 I have to tell you, our campers are getting so into Bunk Cup this summer and it’s amazing! 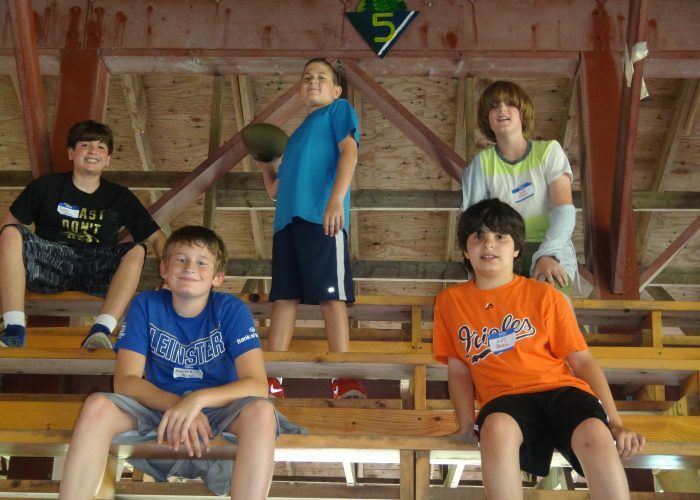 Bunks such as G1, the little girls, are challenging older boys bunks to fun activities such as friendship bracelets! Some girls bunks have also challenged one another to a dance off. I, personally, am very excited to see the Bunk Cup Opening Ceremonies tomorrow night. More info to come once this takes place. 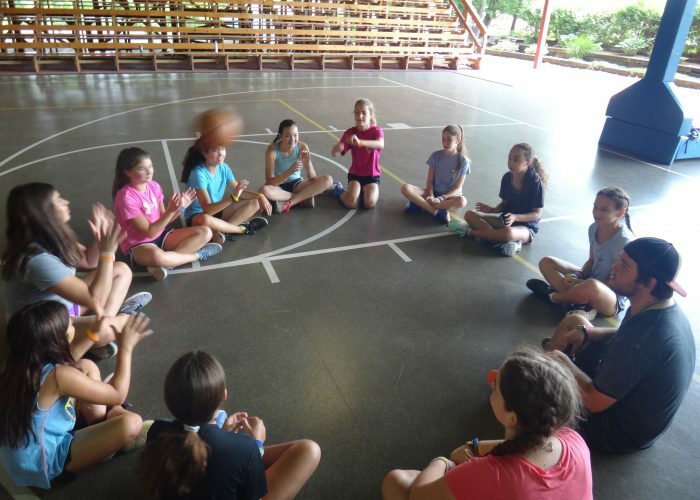 After evening activity tonight our campers will be off to socialize at the canteen and gym once again. 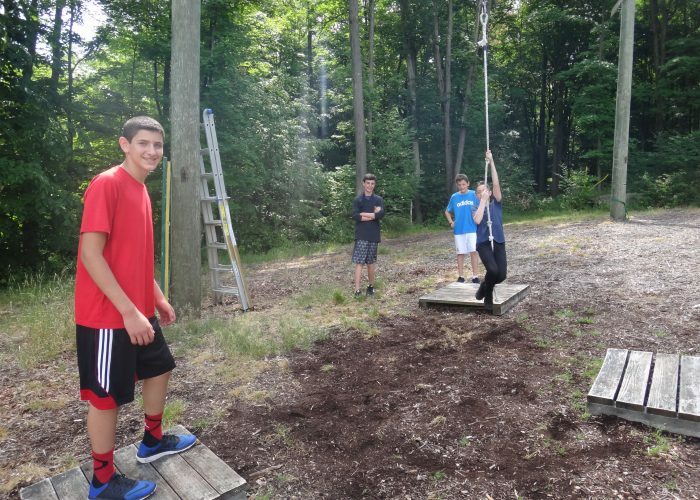 We also opened a TEEN LOUNGE this summer for our campers who are entering 9th grade and older (boys and girls group 4 and CITs). They’ll have access to a television with a satellite dish, a soda machine, and couches to hang around and socialize on. The teen lounge is a good alternative to hanging around in the gym and the canteen every night. Our kids seem excited about it, too! 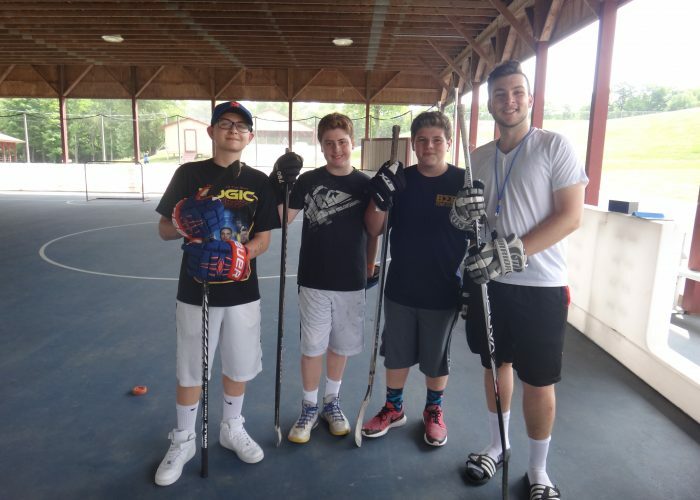 To summarize the first few days here at Island Lake, I can honestly tell you, our camp parents, that our campers are having so much fun here forming everlasting friendships with one another and learning so many skills in their activities. We couldn’t be happier for all of them! Today’s special photo feature is SPORTS. Here are a few of the activities that took place this morning, prior to the rain setting in. 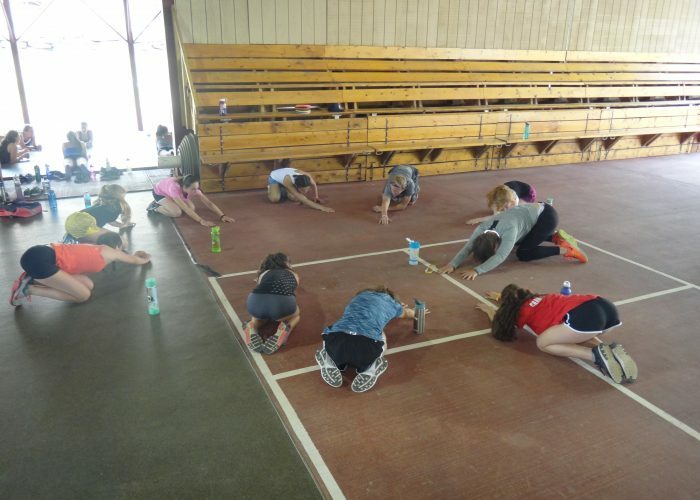 Some of the group pictures are children doing Mojo Fitness, and these photos took place once they returned from their run and were stretching. Enjoy the pictures and until tomorrow, ILC U THERE! June 26th- 1st Day of Activities!!!!! Happy first full day of camp!!! Yesterday’s Opening Day went extremely well with lots of happy campers coming off of the buses. New and old friendships are blossoming. 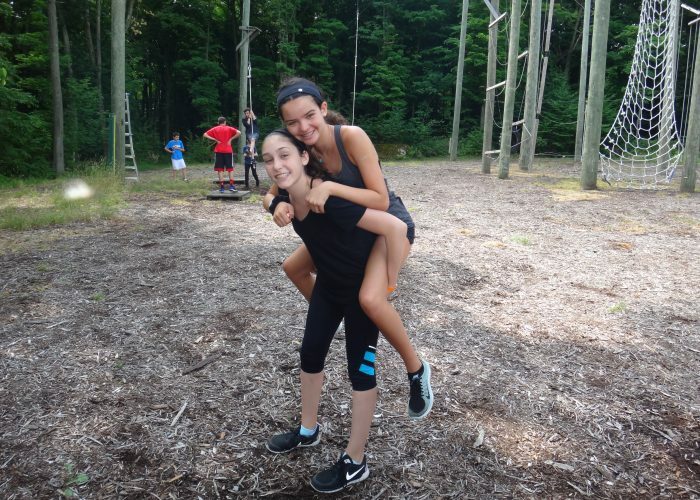 Campers are bonding with one another, as well as with their counselors, and they are settling into Summer 2016 here at Island Lake. 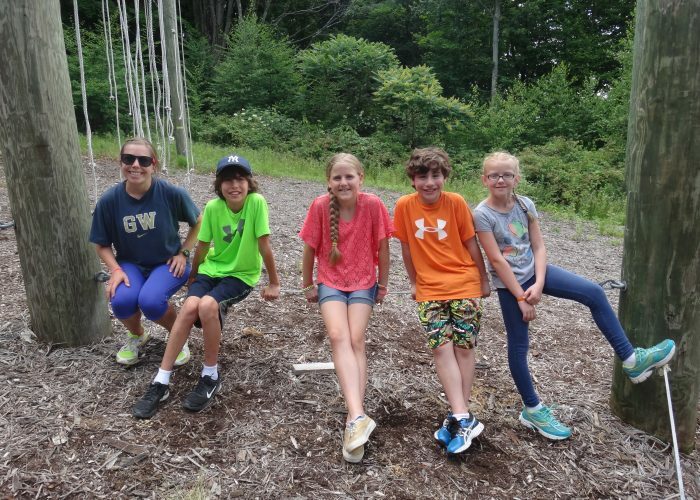 Be sure to check out our daily summer photos through CampMinder, along with our daily short videos on our Facebook page (starting soon) to check out more that’s going on here at ILC. Today was an absolutely BEAUTIFUL DAY in Starrucca, PA. It was our 4-minor day and the kids were busy trying out activities to see what they’d like to sign up for as their majors for the remainder of the session. 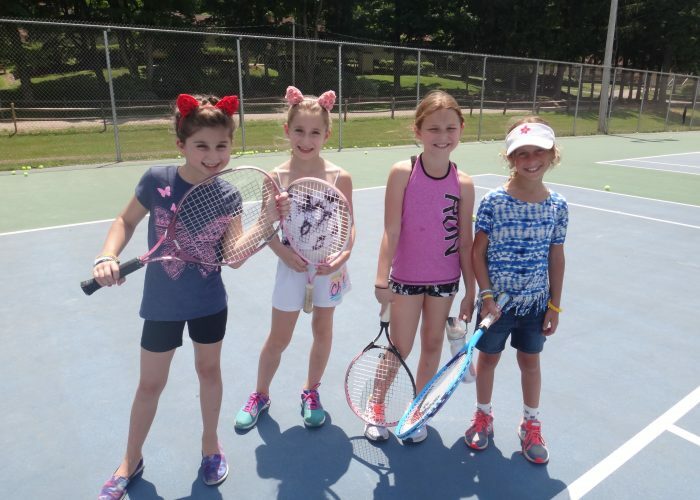 Campers took deep water tests and sports, pioneering, and tennis all took place outdoors. Auditions for the musicals went on all day and we’re doing Zombie Prom for the older kids and Oklahoma for the younger ones. 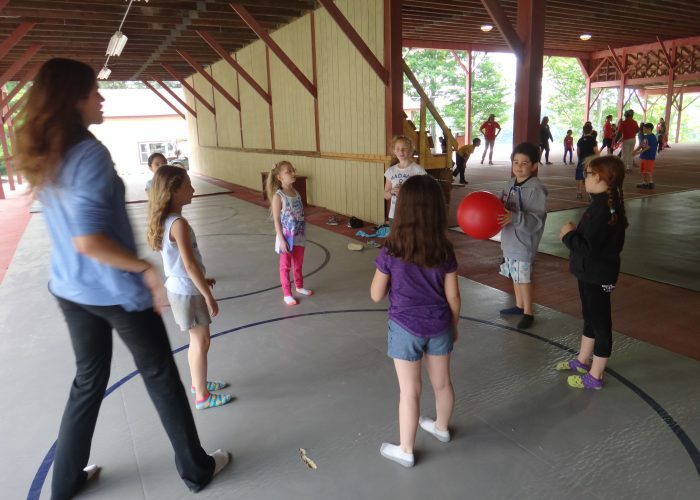 Horseback riders and dancers were tested for levels, circus activities were in full effect, our magicians started to learn their skills, our skaters & bladers rode in the skatepark, in addition to all of the other activities we offer here at ILC: mmagic, video, cooking, rock shop, gymnastics, and more! After lunch today we gave out many 5-year jackets and 10-year jackets to our loyal Island Lakers, both campers and staff. 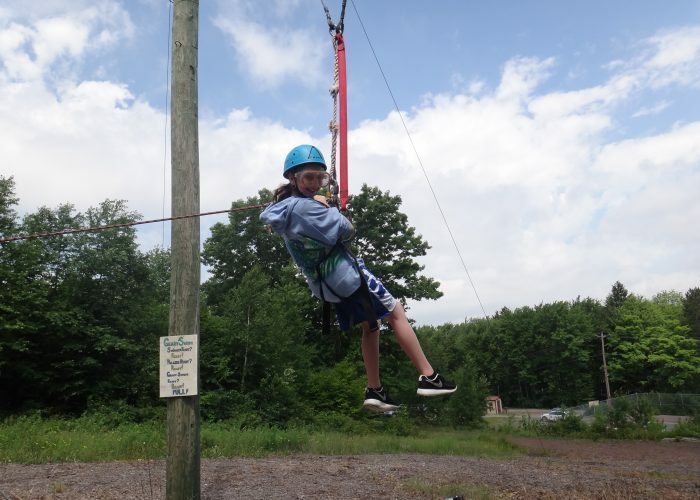 In our daily summer photos through CampMinder we will show you photos of campers and staff in their ILC-wear. I hope this beautiful weather continues so they won’t have to wear these (rain) jackets quite so much over the course of the summer. 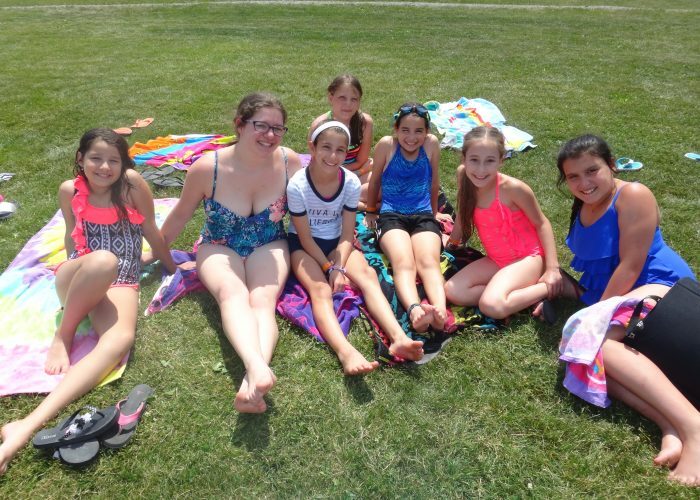 After their 4 minors and our snack break, we held our favorite camp extravaganza,…PANIC! 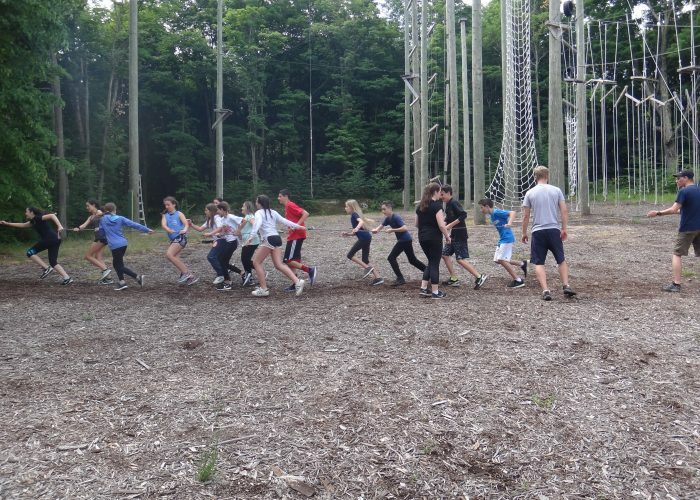 It’s a camp-wide game where I call things out over the PA system and our campers have to run into their bunks, find the item(s) and bring them as fast as possible to their group leaders in the middle of their campuses. 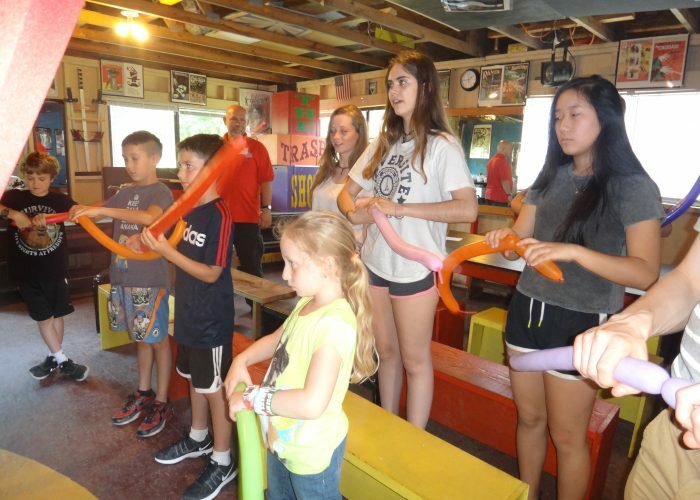 It can be something as basic as a red toothbrush or more involved like 5 campers wearing 2015 ILC Color War t-shirts singing the camp alma mater. I play music over the PA in between while the kids all sing and dance with their bunks. Ok, I’m not gonna lie. The boys don’t sing and dance as much as the girls! 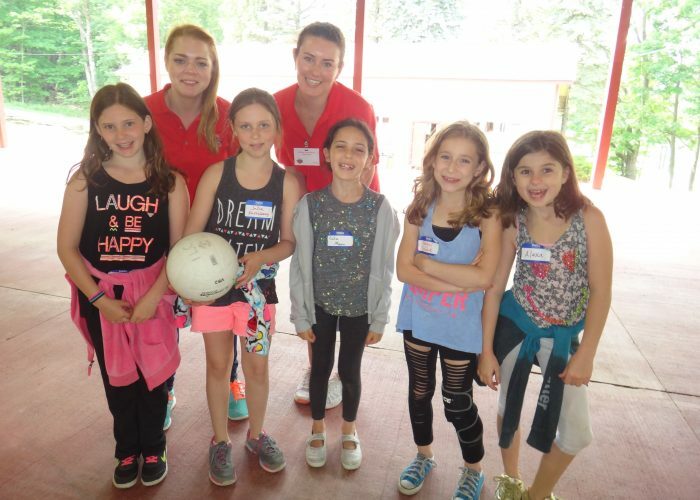 Regardless, Panic was a hit and the kids participated and cheered their bunks on as they ran around having fun-filled fantabulous time. Tonight’s evening activity is GROUPS, which means the group leaders take charge and run different activities for their bunks. 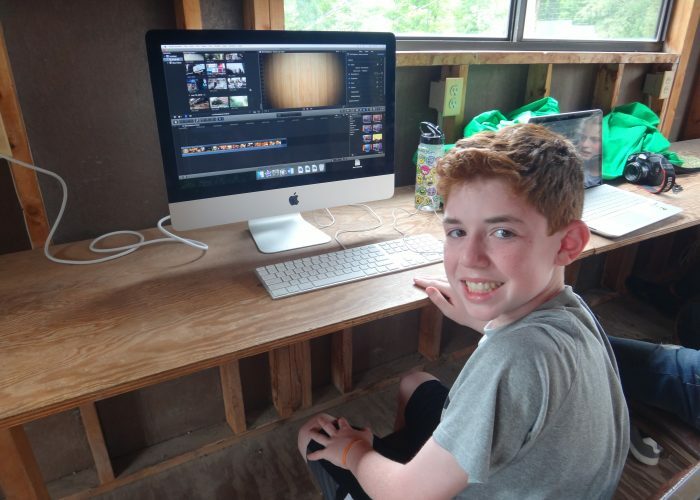 This session we will once again start up Bunk Cup so tonight the bunks will either work on their bunk flags, plaques, or videos. For those of you not familiar with Bunk Cup, it’s an event that runs throughout the session where each bunk is its own team. 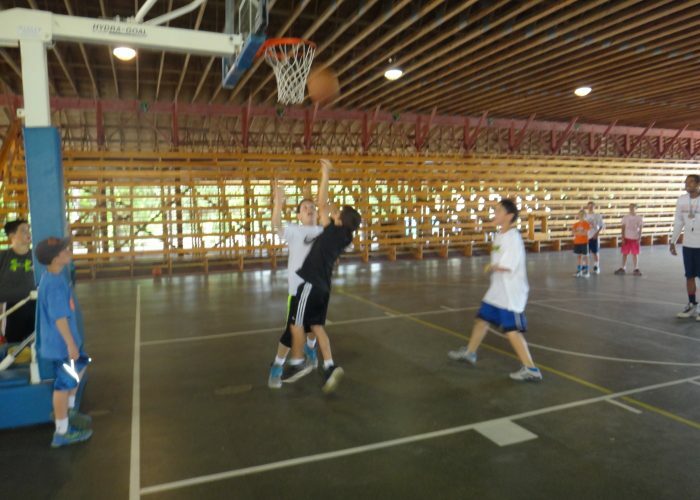 They can earn points in just about every activity here at camp. At the end of the session we tally up the points and have a winner on the boys side and a winner on the girls side. This is our 3rd annual Bunk Cup and the kids are so excited for it. 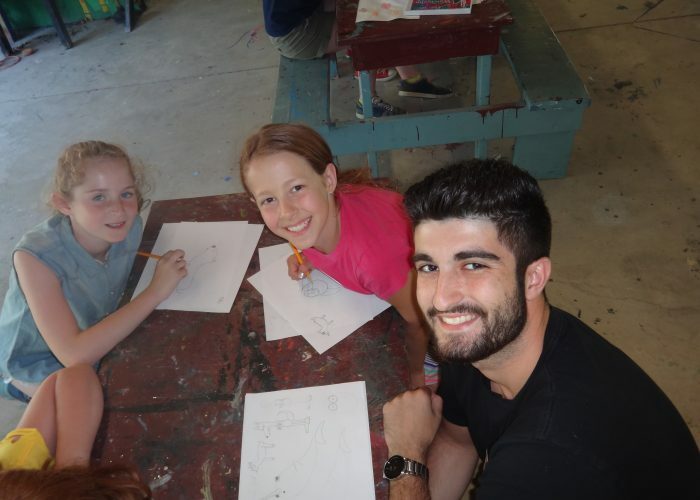 Below is an array of photos from a variety of activities during this beautiful afternoon of fun here at ILC. 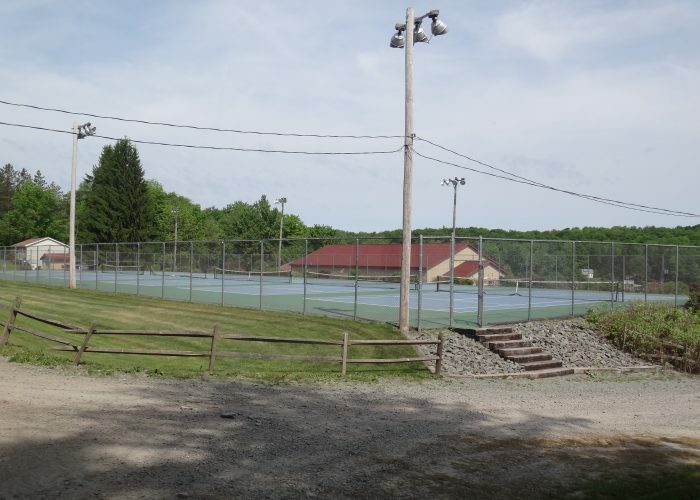 Please return to this blog each day, as I (Wendy) will be posting ongoing events happening here at Island Lake on a daily basis. Until tomorrow, ILC U THERE! 2 More Days Until Camp Begins!!! Two more days! Camp is finally here and we just want to remind you of a few things. 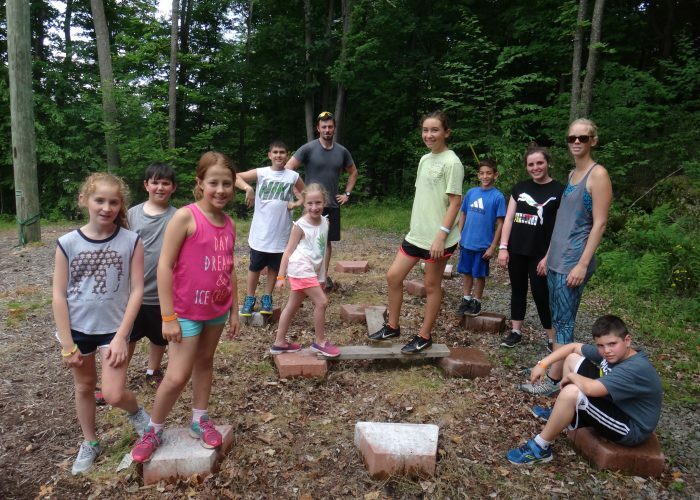 This blog post is for all camp families this summer, not just those arriving on Saturday, June 25th. All buses leave our bus locations at 1pm sharp! Please be sure to give yourself enough time to get to the buses by 12:30pm, especially those of you going to our Queens bus stop. It is inevitable that there is always traffic heading to our Queens bus so leave extra early in order to make it there on time. Don’t forget to pack your child lunch for the bus ride to camp. For campers who are flying to Newark, it’s a good idea to send them with extra money for snacks that they’d like to purchase upon arrival at the airport. 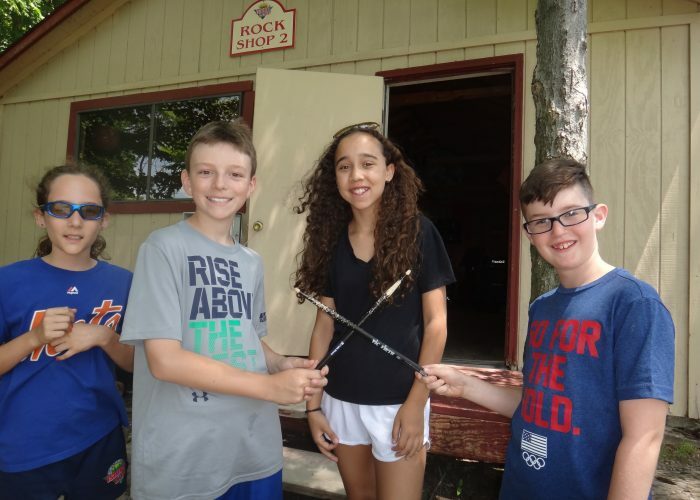 Cell phones are strictly prohibited at camp! 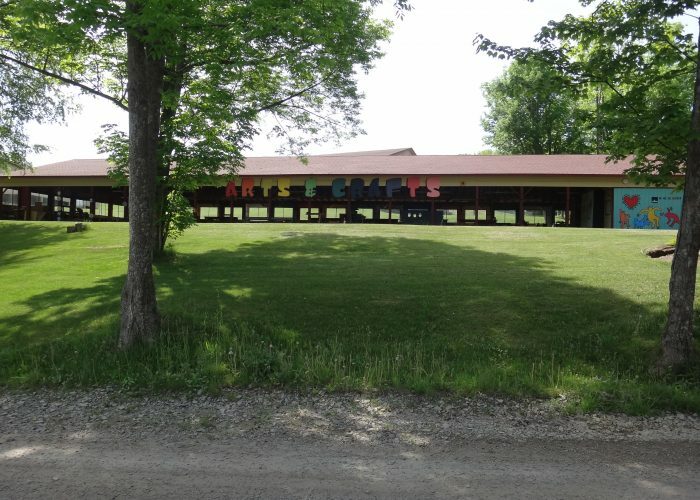 Any child caught with a cell phone will be sent home from camp for a 3-day suspension. Only campers flying here via airplane may travel with a cell phone. We will collect your flying camper’s phone after your child calls home to let you know that he/she arrived at Newark safely. Additionally, non-functioning iPhones are not allowed to be used as music players, even with the SIM card removed. The bunks are all finalized and campers will receive their bunk numbers on their bus ride to camp. We can no longer accept new bunk requests for the 1st session. We try to honor all bunk requests to the best of our abilities. 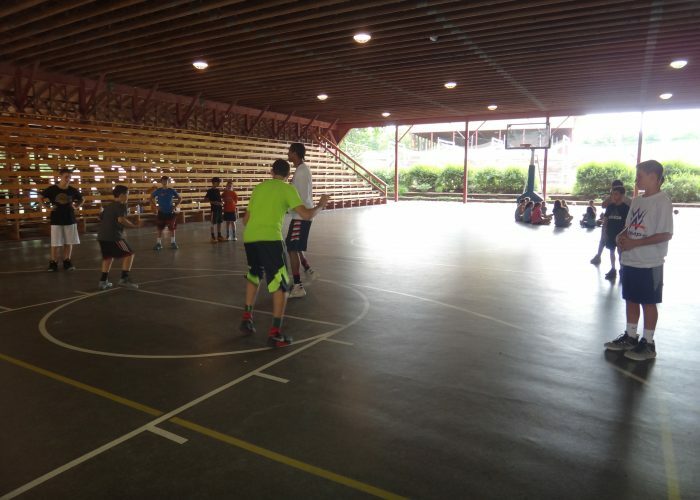 We will once again post hundreds of pictures to our website daily so be sure to go to islandlake.com and login to your Camp Minder account to view the photos and weekly videos. 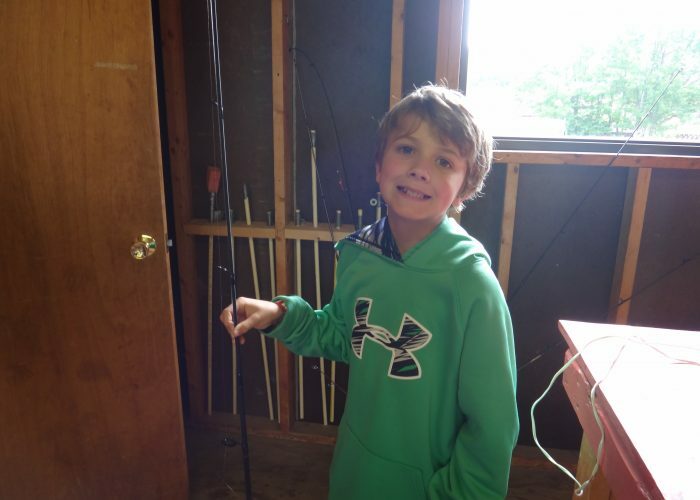 You can also view photos through our Island Lake app by logging into CampMinder on it. We will once again post a daily blog to our website at islandlake.com. You can also view the blog through our app. 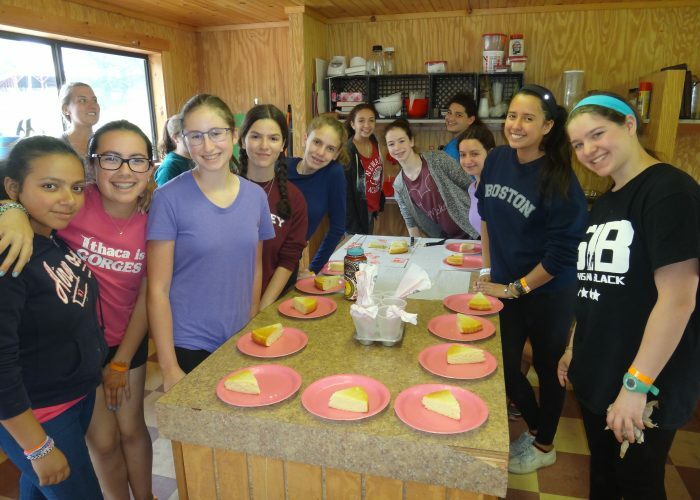 On our website scroll down and click the yellow “B” at the bottom of the page to read about what’s going on in camp and see some extra photos. We will also continue our practice of loading videos to our Facebook page. You do not need to have a Facebook account in order to view them. Just visit facebook.com/islandlakecamp to see the daily video clips. Last, but definitely not least, we will be tweeting daily. Once again, you do not need to have a Twitter account to see what we are posting. 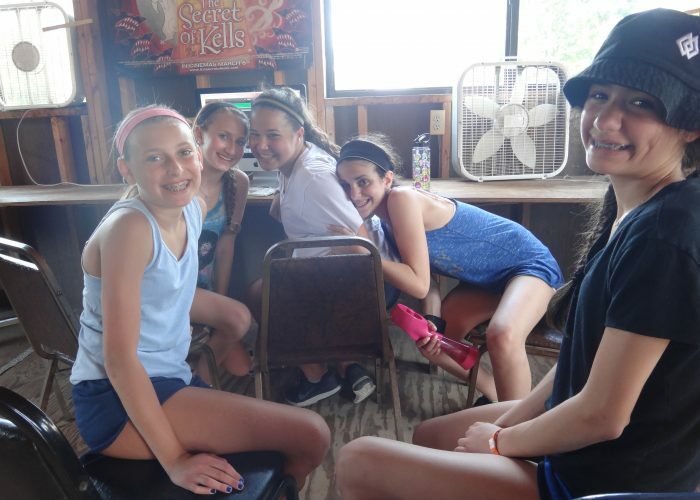 Simply go to twitter.com/islandlakecamp to know more about your camper’s daily life at Island Lake. 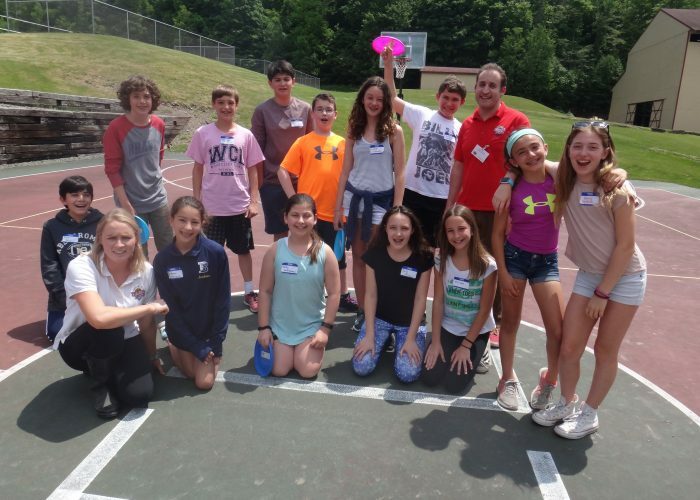 We can’t wait to see all of our first session campers roll in on the buses this Saturday, June 25th! ILCUTHERE!!! 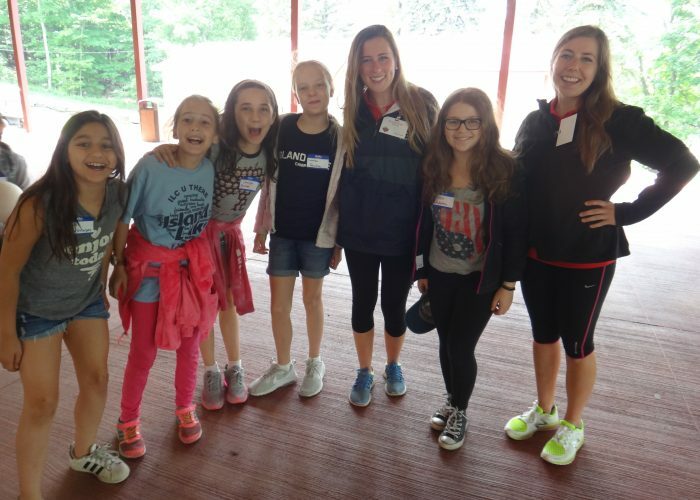 This past Saturday was Open House here at Island Lake for our new campers and it was a FANTASTIC DAY for all! 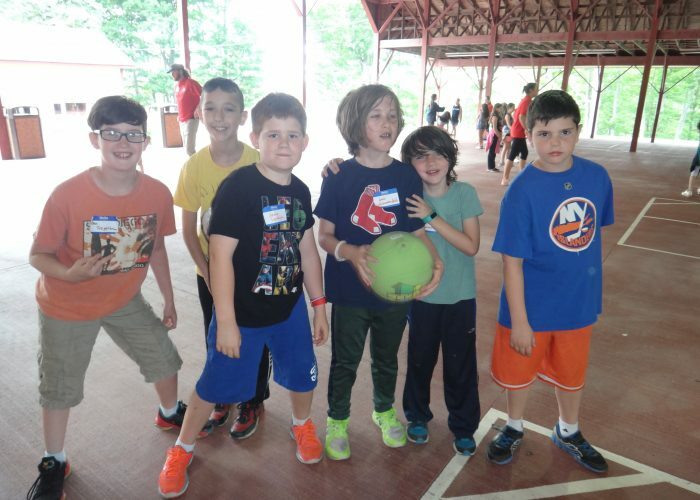 So many excited new campers showed up with their families and took the opportunity to meet one another, meet some of our staff, tour camp, and play games together. We loved meeting our rookie Island Lakers and we’re that much more pumped for June 25th to get here already. 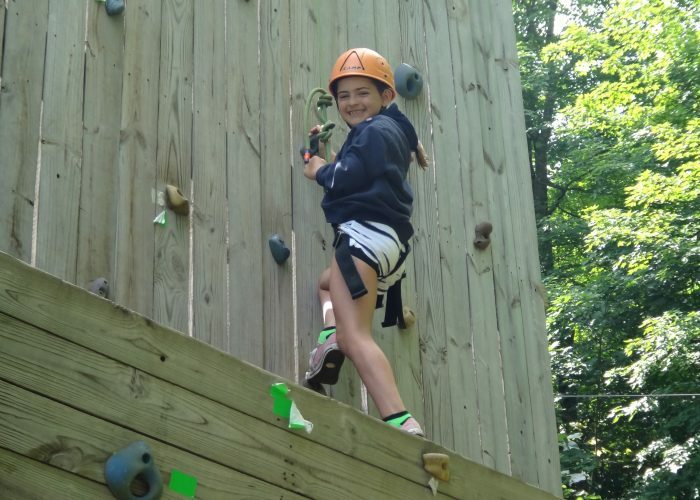 We hope all of our campers are, as well. With only 12 days until our opening day of camp, more and more staff have been arriving for training in their specific departments. 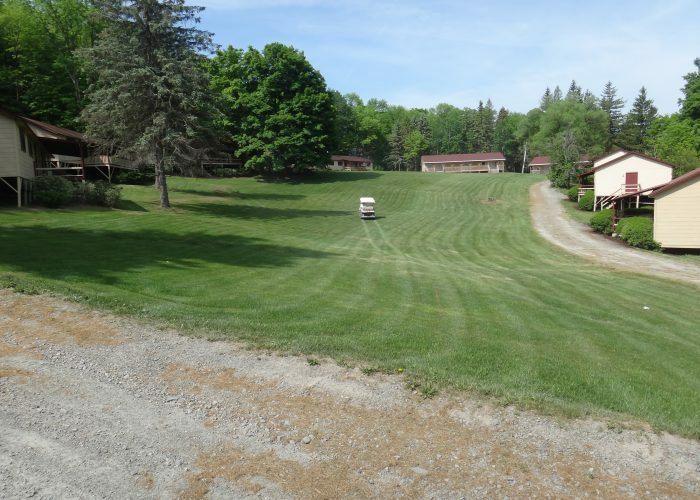 All staff will be here by June 17th for our full camp staff orientation week. 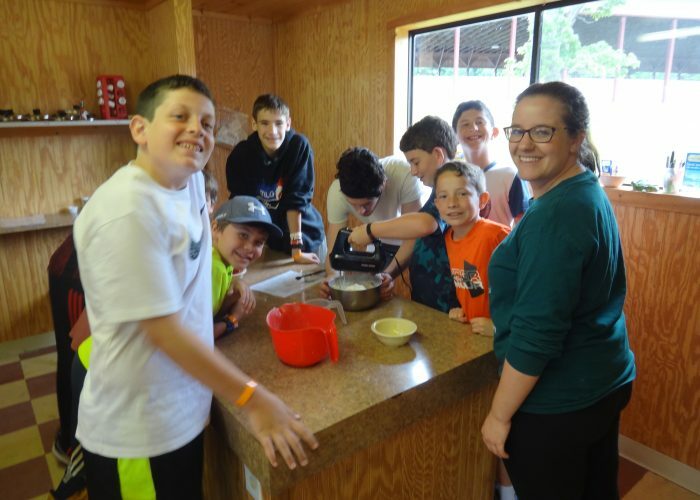 We’re sure many of our parents are now in full “camp mode” as you pack and prepare your children for their amazing ILC experience this upcoming summer. 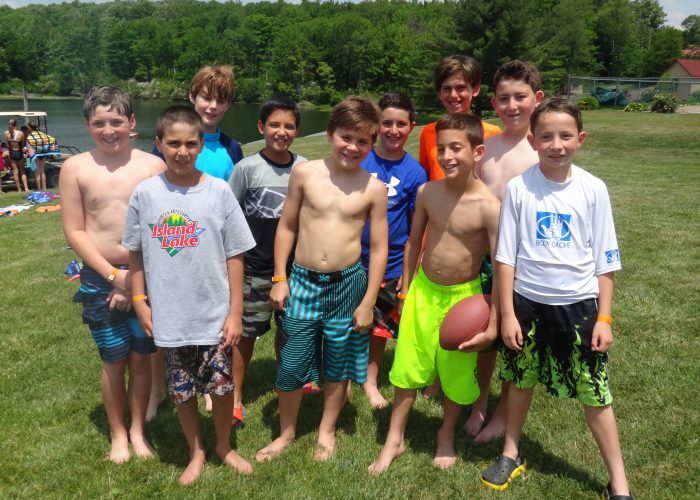 Just a reminder that our packing list and equipment list are right here on our website under “Families” and “forms & mailings.” Any outstanding Medical Forms must be completed and returned to us ASAP, prior to your children’s arrival here at camp. By now you should have received your luggage tags and bus stop information packet. 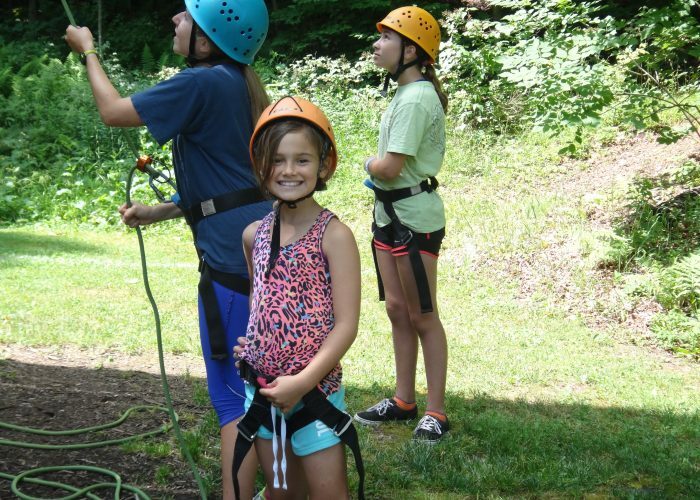 Please be sure to place your children’s tags on each of their 2 duffels so we can transport the bags to their appropriate bunks upon arrival. Remember, all luggage goes to camp on the buses with our campers. 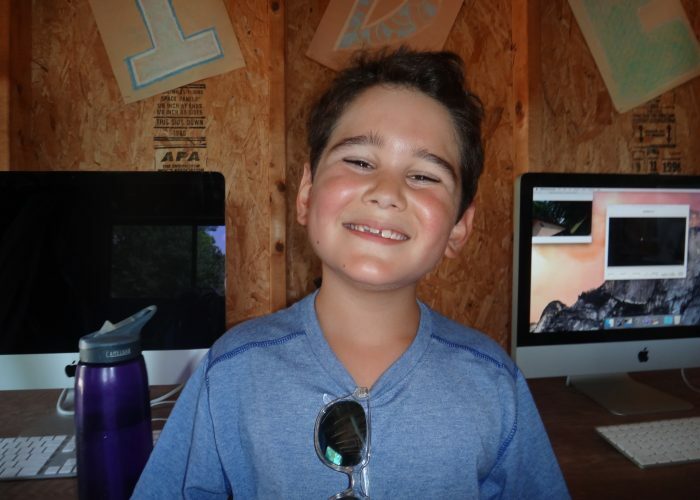 Tomorrow you can start calling camp to set up your children’s phone appointments for summer. The phones are closed the first week of the session and then each child can call home once (per session). See your Parent Handbook for more details. 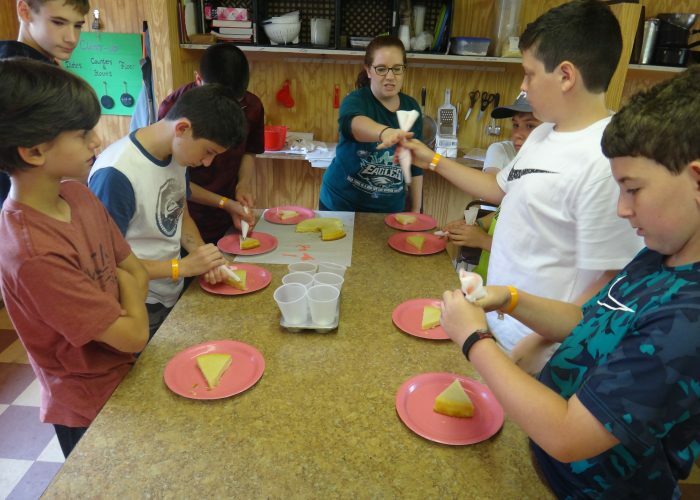 Once you have dates and times in mind, just give us a call here at camp at 570-798-2550. 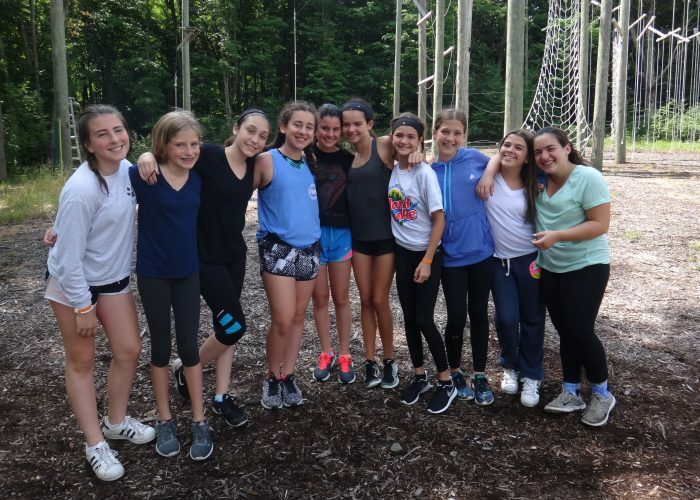 If you have any last minute camp questions, feel free to call us any time. Until camp begins, our office is open daily until 5pm with a break for lunch from 12-12:45pm. 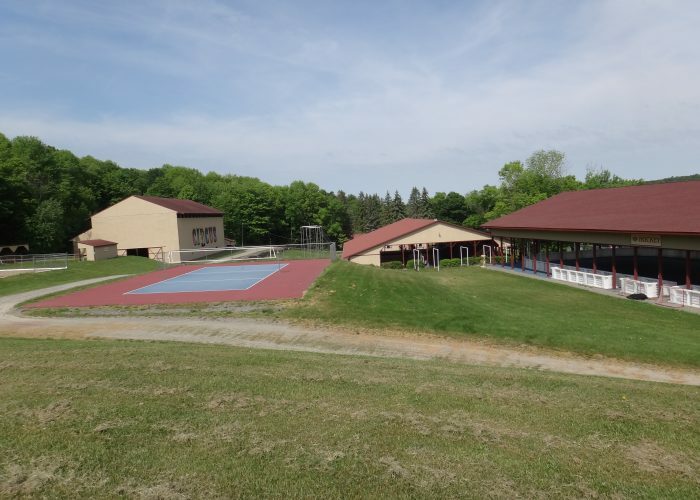 Once camp begins we’re open daily until 9pm. Enjoy some photos below from our Open House this past Saturday. Lots of excited, new, happy campers joining us this summer. 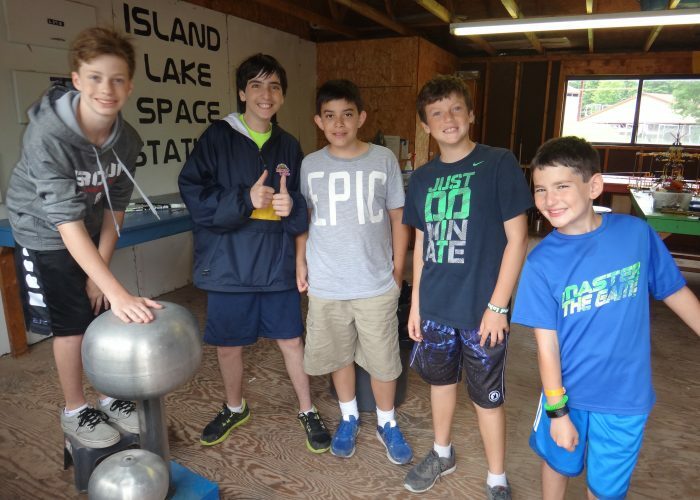 We CANNOT WAIT for everyone to arrive for an amazing, fantastic, out of this world ILC summer! In 12 more days, ILCUTHERE!!! 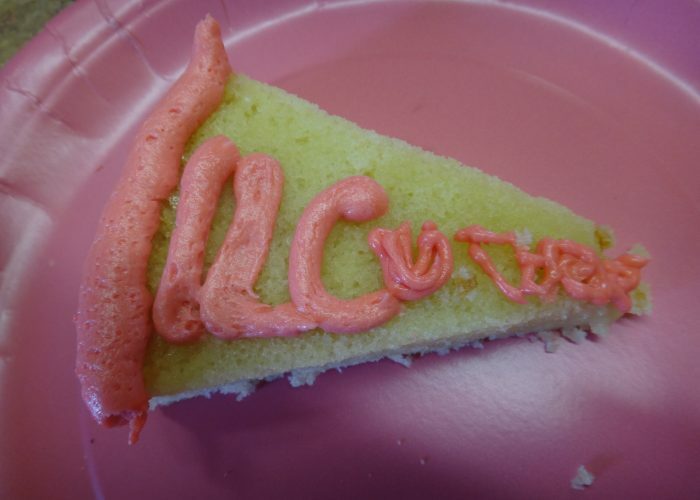 Hey ILC parents,…This is it! 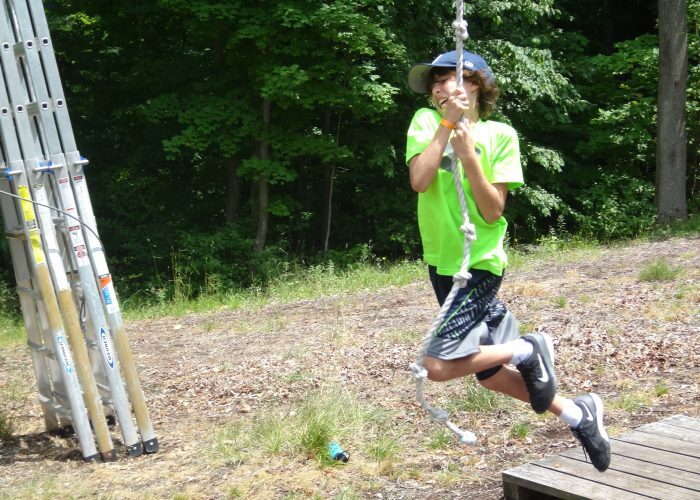 Summer is just about here and we are happy to report that we are back at camp once again! Words cannot even begin to explain how wonderful it feels to return to our home away from home. We are sooooo EXCITED for your children’s arrival on June 25th. 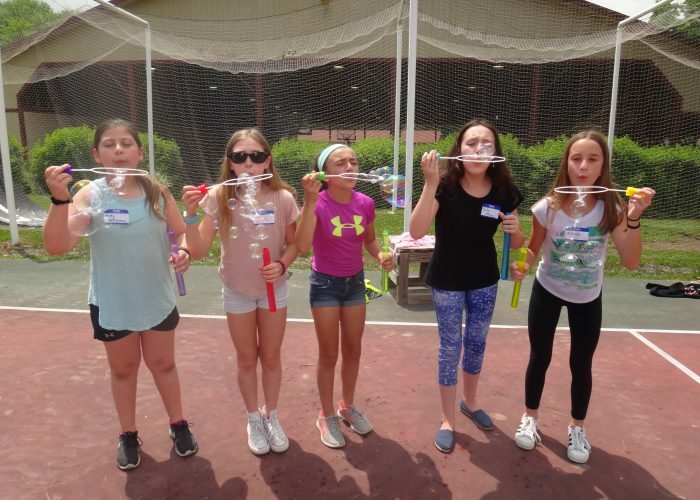 We have amazing plans for this summer including exciting evening activities, an awesome Color War theme, a day trip to Dorney Park, a teen trip to Montreal and Quebec, Canada in session 3, and much more. 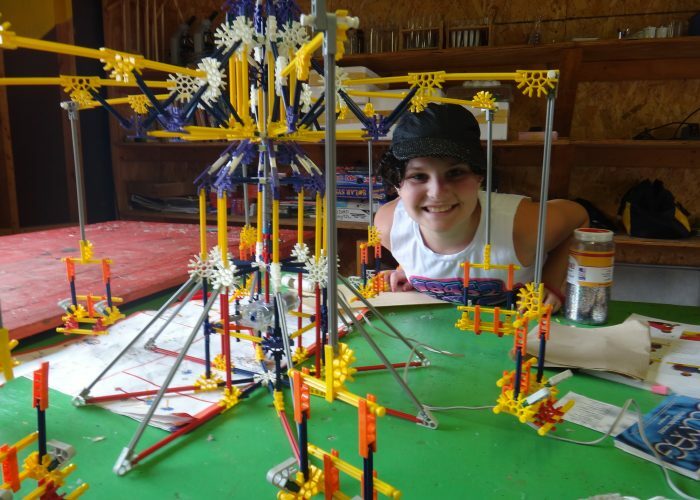 Let us just say, we have some awesome plans to make summer 2016 the GREATEST, and we cannot wait to share it all with your children! Summer 2016 parents, have you sent us all of your forms yet? 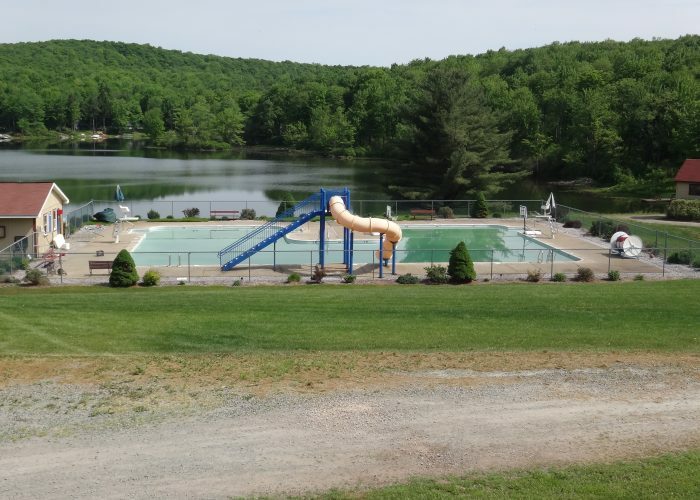 Please make sure we have received your children’s profile, medical, and transportation forms, as well as your travel itinerary if you plan to be away while your kids are here at camp. 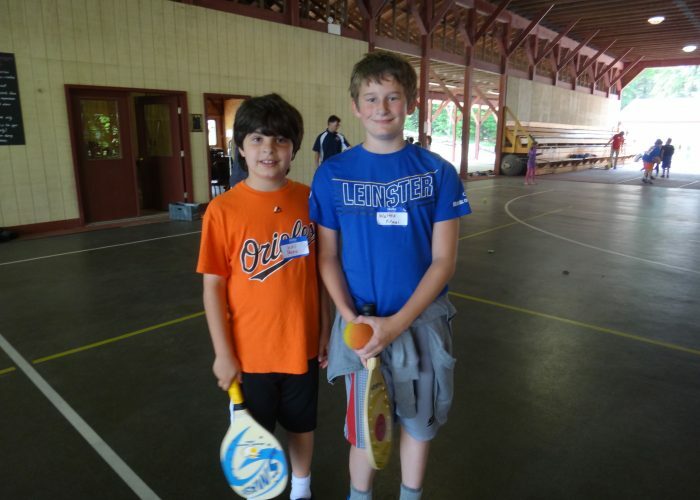 You can fill out the profile and transportation forms directly online by logging into your CampMinder account. The medical form is not on our website so please be sure to fill out the hard copy we mailed to you. If you misplaced it, just click “Forms & Mailings” in the “Families” section of our website to download a new one. We will be posting blogs right here on our website daily once the children arrive. Additionally, we will continue to tweet daily and post short video clips on our Facebook page as often as possible. So much info for our parents that they will feel as if they, too, are experiencing an Island Lake summer filled with fun! 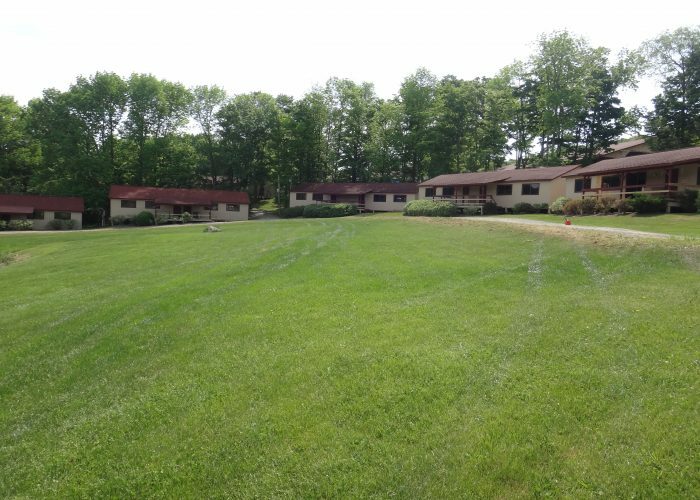 Now that we are back up at camp, please be sure to mail any outstanding payments and forms directly to our SUMMER ADDRESS in Starrucca, PA. Do not use the New York return envelopes any longer, as that mail takes awhile to be forwarded to us at camp. Well, that’s about it for now! 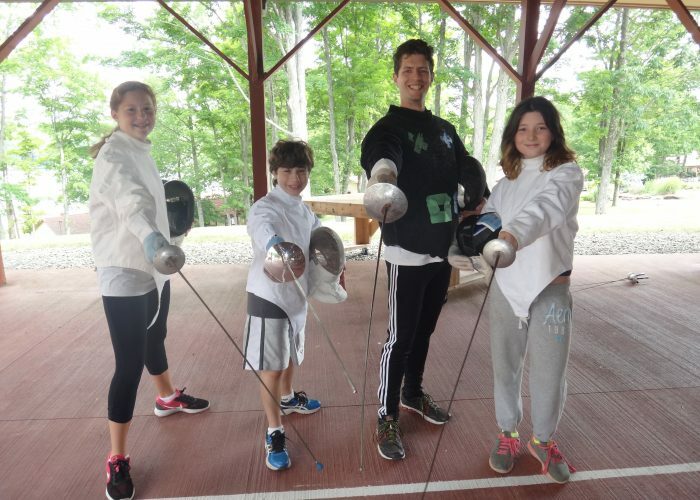 We look forward to meeting many of our new families at our OPEN HOUSE here at camp on Saturday, June 11th, at 11am sharp. We cannot wait to see the rest of our Island Lakers shortly afterwards! Below are some Island Lake sites for you to enjoy. ILC U HERE!! !